Northamptonshire Construction Training Group (NCTG) has secured funding from CITB as a pilot to provide training in the Northamptonshire area at a flat rate of £10 +VAT per delegate, per course. If you are a CITB Registered Employer, with workers in the Northamptonshire area, this training is open to you. It is a great opportunity for employers to reduce their training budget for core construction courses and the amount of administration time spent on the CITB grant claim process. Northamptonshire Construction Training Group (NCTG) is a non-profit making organisation funded by CITB. It has been organising construction training for its Members for over 20 years. There are over 90 similar groups covering the UK. Our aim is to encourage and facilitate training within the county in order to promote health and safety best practice and lower accidents and injuries, whilst reducing the cost of training for employers. 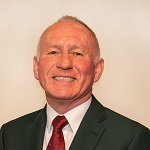 Ian has been the Chairman of NCTG for over 20 years. His day job is Head of Learning Funding for Kier, he also manages Kier’s construction & technical training programmes. 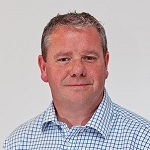 Ian sits on a number of industry committees including the Build UK CITB Reform Group and the Board of CSCS. John manages the Works Department of Boughton Estate, specialising in historic building work to repair, improve and upgrade property in the Kettering area. John is also responsible for Apprentice training in the Estate group and ongoing training of staff and contractors in their supply chain. 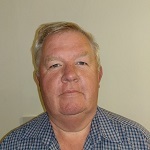 John has been involved with NCTG for over 15 years. Sean has been involved with NCTG since its creation and Treasurer for over 13 years. Before retirement, Sean was a Business Development Manager for Kier. 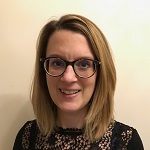 Natalie has been with NCTG since July 2016. Prior to this she worked for a major construction contractor organising their technical and commercial training programmes. Natalie is your main contact for all your training needs. Want to save money on your training? We negotiate group discounts and pass the saving onto our members (we don't make a profit). Don't have your own training officer? As a member, you get support with sourcing and booking all your training needs – both construction and non-construction related. Our Group Training Officer can do all this for you. Confused by CITB grant and how to claim it? Get advice on the CITB Grant system from our experienced Group Training Officer. Want to meet more people in the industry? We hold regular networking meetings with key industry players, including CITB. Want to receive important information relevant to your business? We email out to our Members regular updates from CITB, SEMLEP and other relevant organisations. Have training questions but not sure who to ask? We can signpost you to the most appropriate person for your query. Is Corporate Social Responsibility important to you? We can support you in training Construction Ambassadors and link you with local careers events. To become a Member, there is an annual fee of £75 +VAT. Please email the Group Training Officer at training@nctg.co.uk to request an application form. Once your membership fee has been received, you will receive your certificate and have access to our very competitive rates. The meetings take place from 4-5pm, followed by buffet and networking, at Moulton College Management Centre, NN3 7QL. We can also hold a workshop for Members prior to the meetings from 3-4pm. If there is a topic you would like covered, please let us know, and we can arrange a guest speaker. Previous workshop topics have included; Corporate Social Responsibility, Right to Work Legislation, Apprenticeship Levy, CITB Grant Reform. NCTG has secured funding from CITB as a pilot to provide training in the Northamptonshire area at a flat rate of £10 +VAT per delegate, per course. If you are CITB Registered Employer, with workers in the Northamptonshire area, this training is open to you. Select the course and the date you would like to book. Advise NCTG of the number of places required and the delegate names. Pay a fee of £100 +VAT per delegate place 8 weeks prior to the course start date to secure the booking. On completion of the course, you will be refunded £90 +VAT per delegate. If your delegate does not attend there will be no refund. If you have a full complement of delegates, let us know and we will schedule one of the above courses for you. If there is a course you need, that is not on the list above, let us know and we will consider scheduling it for you. CITB will not pay you Grant for these pilot courses. Cancellations inside of 4 weeks of the course start date will be charged at 100% of the course cost. *For Site Safety Plus courses there will be an additional registration fee per delegate and delegates will be required to provide their own SSP book. NCTG can source and book any course that you need whether that be construction or non-construction related. We have also organised management / leadership, IT and customer service training for Members. Whatever training need you have, we can support you with it. Whether you have one or a number of delegates to train, we can advise you on the most cost effective way to organise this. We can arrange training to take place at a training provider centre or at your site. We have good relationships with a number of training providers in the Northamptonshire region. We pass on the reduced rates we receive from these providers to our Members. We do not make a profit. Please note – for any courses that are booked outside of the “Train for a Tenner” pilot, you will be charged the full cost of the course. Members have saved £1,095 +VAT per person, plus received £600 CITB NVQ Grant. The funding has enabled more trades people to gain Skilled Worker CSCS cards.